Part of our ever expanding range of modern and contemporary furniture comes this stunning Heligan Bed. 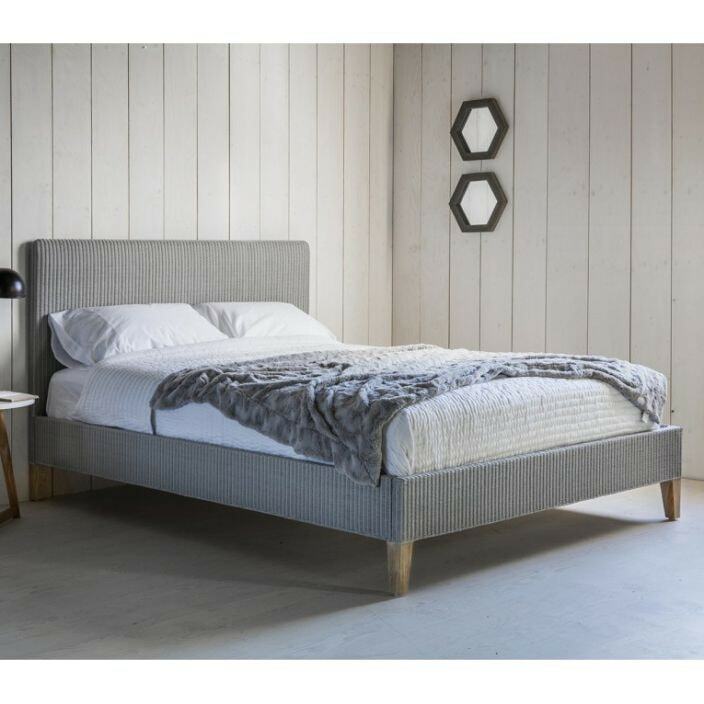 handcrafted and carefully built from Lloyd loom in a soft grey, this bed with natural wooden legs is a fantastic much have addition in your home. Brightening up your bedroom in an instant, this bed is sure to impress.